The Battleship New Jersey Museum and Memorial is an educational and inspiring venue for scouts and students to visit and garner a greater appreciation for those who have served and those that now serve our nation. 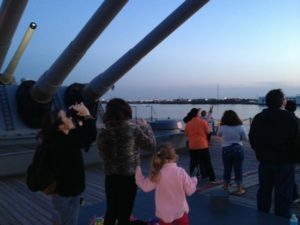 Our Guided Tours take guests on a 90 minute journey exploring the Battleship New Jersey and offering a glimpse into her 48 years in and out of service. 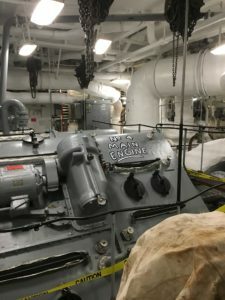 Our knowledgeable guides will take your group through the battleship’s legendary 16″ gun turrets, the Admiral & Captain’s cabins, Communications & Command centers, Navigational bridge, wardroom, berthing areas and so much more. 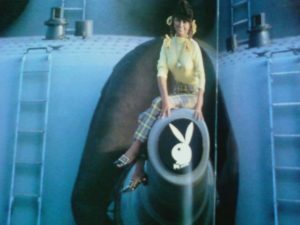 On tour, you will learn about the critical role that the Battleship New Jersey played in World War II, Korea, Vietnam & the Middle East. School & Scout Pricing: For groups of 20 or more, our students and scouts are priced at $10.00. A complimentary ticket is offered to chaperons for every 10 paying students/ scouts. Additional adults will be offered tickets at our $10.00 rate. 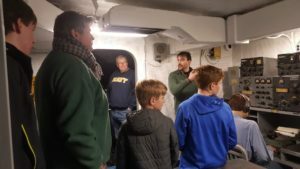 Little Sailors Group Tour: Perfect for day camps and young elementary school students ages 6 to 8, this tour, which takes approximately an hour, features the 16-inch Gun Turret I, the Officers’ Wardroom, Executive Officers Cabin, Admiral’s Barge, Helicopter and more. There’s also only one ladder (stairs for your landlubbers) for the kids to navigate and includes “Sailor Says,” our Navy version of the Simon Says game. Groups can customize their visit by choosing from a few special features. This hunt will take your group deeper into our incredible museum exhibits. Each exhibit area has 2 questions & the answers are found by paying close attention to what is displayed. Recommended for ages 8-13. Adults are free to assist children. Cost: An additional $2.00 per student with a group tour ticket. History comes alive during the “I Was There” program! Suitable for groups of 20-50 people, this unique experience gives your students the chance to meet and interact with a veteran of the United States armed forces. In this 40-minute program, participants will learn first-hand what military life was like and will have the opportunity to question a veteran on a broad variety of topics. Recommended for ages 8-17. Cost: $3.00 per student with a group tour ticket. Adults are free. Contact our Group Sales department, toll-free at 866/877-6262, ext. 144 or 107 or by email at groups@battleshipnewjersey.org, to book your group. Is an Overnight Stay on the Battleship right for your group? Check out our Overnights section.